Unfortunately, this is another question that cannot be answered with one general answer. What’s the best thing about owning your own home? You get to make it your own! In a brand new builder home, you choose upgrades. If you move into an older home, you make chan ges and remodel the things you don’t like such as the kitchen counters or the master bath. Finding out how much your home dollar house is worth shouldn’t be done without consulting a top local Realtor. This isn’t a question Zillow can answer for you. WHY IS THE ASSESSED VALUE DIFFERENT THAN WHAT YOU SAY MY HOME IS WORTH? 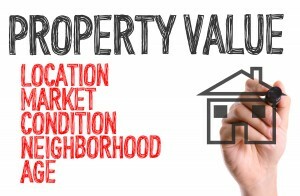 Assessed value is not the same thing as market value or appraised value. The assessed value of your home is simply used to equate your yearly taxes. Some homes are sold for significantly more than the assessed value or significantly less. The assessed value doesn’t impact how much your home is worth to any potential buyer in the market. But, some homebuyers believe if a home is listed higher than the assessed value, that the home is overpriced, but this simply isn’t true. Vice versa, some homebuyers question why a home may be listed at a significantly lower price than the assessed value. Is there something wrong with the home? Has the home seller not disclosed an issue? The bottom line is still this – the assessed value has nothing to do with the actual value of your home in the marketplace. Thankfully, this one is all too easy! The list price is the price in which your home has been listed for sale, whereas the sale price is the price in which your home actually sold. 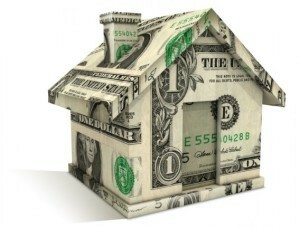 It is very important that you consult your Realtor regarding your list price! List price isn’t pulled out of the air which leads us to our next top FAQ. There are a handful of methods and sources in which Realtors refer to in order to determine your home’s value. We provide all of our clients a p rofessional CMA or Comparative Market Analysis. A CMA is an in-depth evaluation of recently sold comparable homes in your neighborhood. No method is perfect but if you refer to a market expert, it should greatly narrow down the list price range. Since a CMA is not a crystal ball, it is all too important that you let us know of any special extras that you added to your home to make it your own. Get your personalized, professional CMA here. CAN I DETERMINE HOW MUCH MY HOME IS WORTH FROM AN INTERNET SITE LIKE ZILLOW OR TRULIA? Remember always consult a market expert when considering selling your home! Our team has achieved great success where others have failed due to our extensive market research and analysis. Even if the curiosity bug has bit you, find out how your home compares now.